Found this coffee creamer recipe the other day while thinking about ways to start my day on a healthier foot. 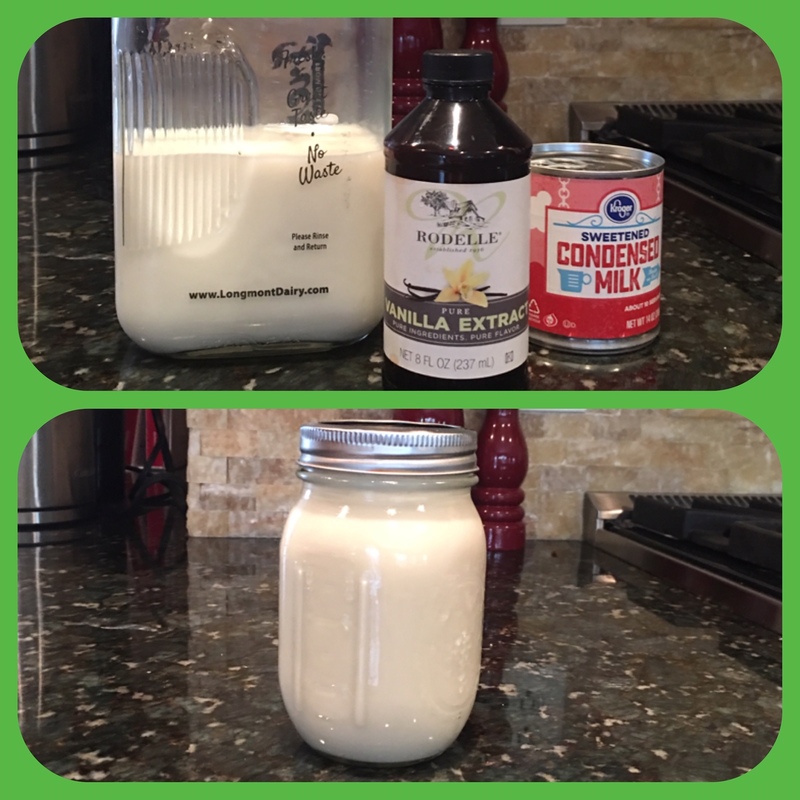 This homemade version of a coffee creamer is a great way to start your day. Whereas, most store bought creamers are only fat and carbs, this version has protein and a nicer blend of all three macronutrients: carbs, fats and proteins. Take all of the ingredients and pour them into a sauce pan large enough to fit all of the ingredients. Place the sauce pan over medium heat and stir until the mixture is warmed up, not hot or boiling. 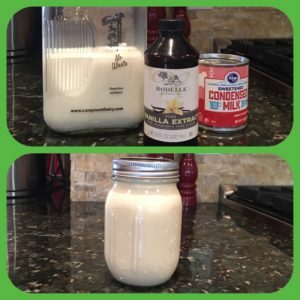 Pour mixture into a mason jar or another air tight jar. Stores in the refrigerator for up to a week.